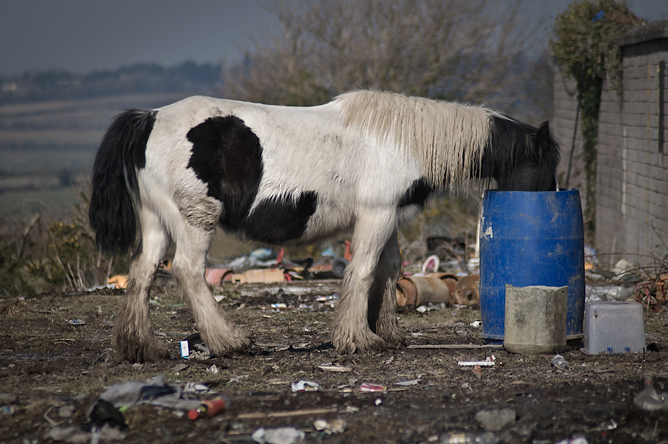 One of many thousands homeless, abandoned horses in Ireland. Taken last summer, before winter starvation. Knocknaheeny, Cork, 2010.